Forrest Walden is a Birmingham native who graduated from Briarwood High School and then Auburn University. As the head cheerleader at Auburn, he fell in love with fitness and decided to pursue it for his entire career. He built his first one-on-one personal training business, Fitness Together, to 55 locations in three states as a master franchisee for the company. He sold that back to the corporate office in 2010 to start over with his own group personal training concept, Iron Tribe Fitness. Iron Tribe currently has six corporately-owned locations in Birmingham. Forrest launched his franchise model in April 2012 and has already sold 29 franchised Iron Tribe locations in Tuscaloosa, Huntsville, Atlanta, Nashville, Raleigh and Charlotte. 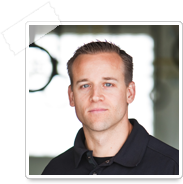 Forrest is passionate about using fitness and nutrition as tools to change others’ lives. He and his wife Mendy have four children with the fourth just adopted from Ethiopia. Learn more about IronTribe presentations.